Great day on the 30th of October at the Powerleague centre in Kirkdale supporting the Liverpool Homeless Football Leagues Presentation Day. A brilliant turnout of well over 150 people, playing, supporting and volunteering. The theme of the final match day of the season was #nomoreknives and ‘Real Men don’t Carry Knives’, LHFC are right behind this much-needed cause as can be seen from the picture above. The Liverpool Diabetes Partnership [LDP] is a service dedicated to providing quality diabetes care within the community, right on your doorstep. 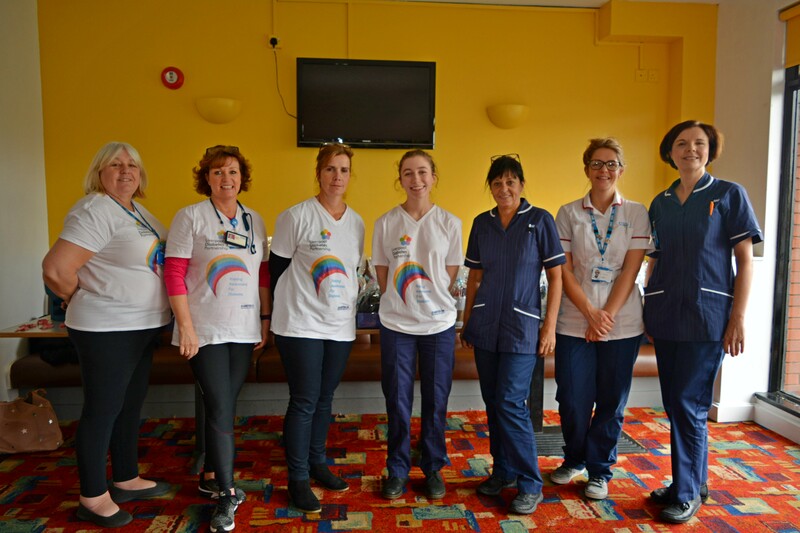 A partnership between Aintree University Hospital NHS Foundation Trust, The Royal Liverpool and Broadgreen University Hospitals NHS Trust and Merseycare NHS Foundation Trust. 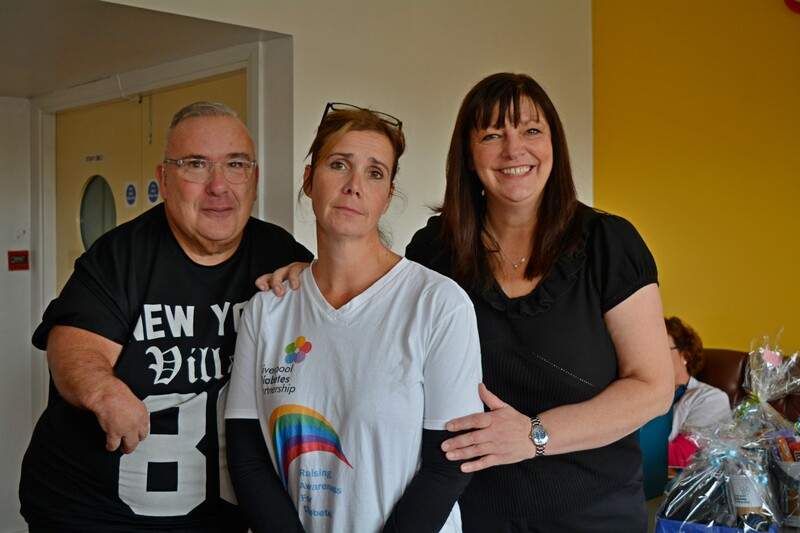 LDP offers education, care and support to people with Diabetes, both newly diagnosed and established Diabetes. 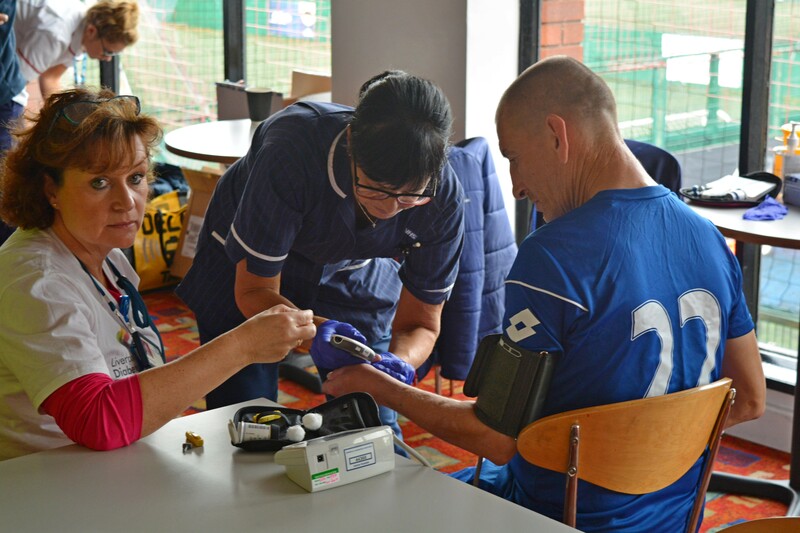 We work with the Homeless Football League to offer regular screening and supporting those who attend who have been diagnosed with diabetes, working with local hostels and individuals to offer access to care. Our podiatrist offers foot examinations and will arrange to see people in clinics if they wish to attend, and our dietitians discuss nutrition and managing their condition in difficult situations. 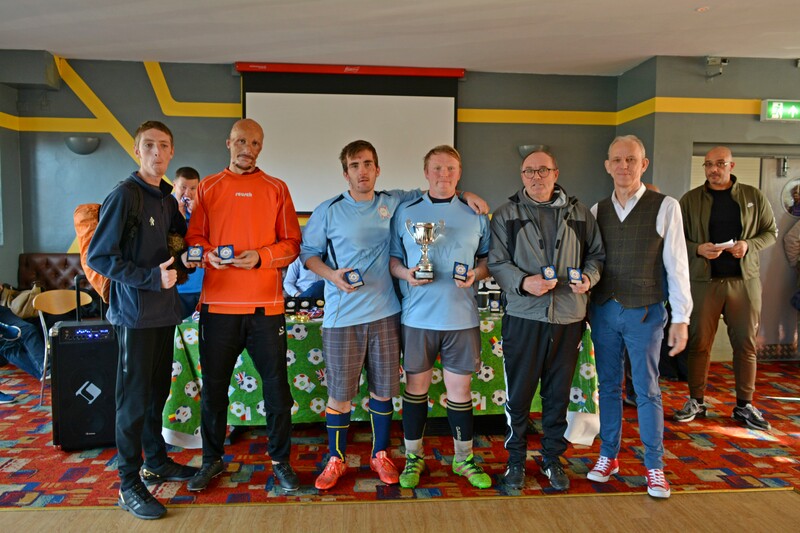 Our services are delivered by Consultants, Diabetes Nurses, Dietitians, and Podiatrists in the local community offering access across the city and our staff are proud to be associated with the Homeless Football League and the teams who play. The day was a great success with Councillor Ann O’Byrne, who has been a stalwart supporter of the organisation for many years, handing out a large number of the well-deserved prizes. There was also an appearance from LHFC’s ambassador and Liverpool Legend, Mr. Gary Skyner. Gary gave a set that was reminiscent of a night of comedy in a smoke-filled backroom from many years ago. Everyone was rolling around at Gary’s sometimes near to the knuckle but always incredibly funny jokes. It was great to see Ann and Gary thanking the diabetic angels from the LDP as well. 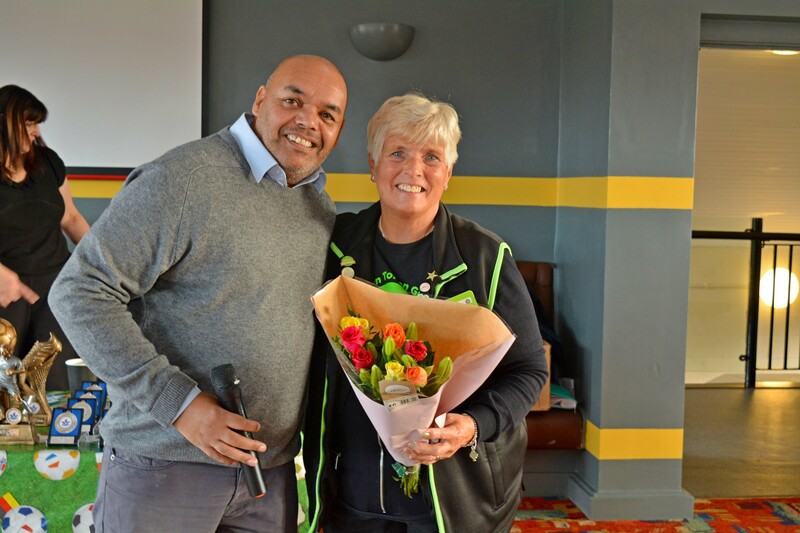 As always Asda’s community champion, Lorraine Ambrose was in attendance. Lorraine supplied a willing smile, basket of fresh fruit and biscuits for all taking part. We don’t say it often enough but thank you from all of us, Lorraine. A great pic of Lorraine with our CEO Mr. John Finnigan showing his appreciation for all of her support over the season. Great to see Colin Heaney from LCVS coming down to support our Presentation Day. We are grateful he was able to award some of our prizes. Thank you, Colin, one of our biggest supporters! A big shout out and a huge thank you to Armadillo, Self-storage for helping us keep all our equipment safe during the season! Please use Armadillo for all of your storage needs, a great company who support the homeless in our City. If you would like to see how you could get involved with Liverpool Homeless Football Club, click here and find out why our motto is #morethanjustfootball.